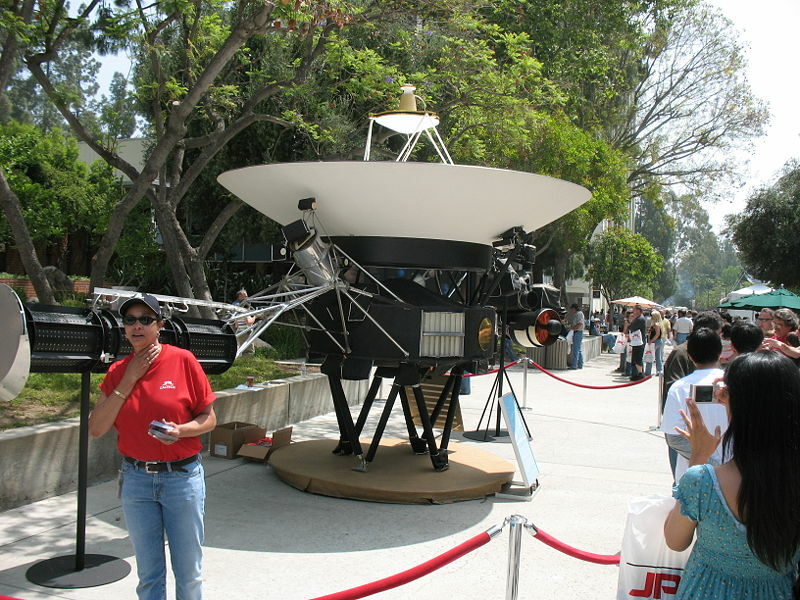 JPL Open House Happens This and Every May ..:: geekademy ::.. If you're a geek living in Southern California or will be in the area later this spring, I wanted to give you a heads-up about a remarkable, free event that happens once a year at NASA's Jet Propulsion Laboratory (JPL) near Pasadena. If you are not familiar with the facility, this is where NASA designs, builds, and manages its deep space fleet. The lab has an open house one weekend in May when the public is invited to tour the facilities and see live demonstrations of JPL science and technology. You'll see real hardware such as the Voyager-class deep space probe above, Sojourner-class rovers, robots, and a brief overview of their computing/tracking facilities. It's a once a year opportunity and definitely worth doing, even if you have to come in from out of town.